Our three cabins are located adjacent to the northwest of the Lake House and overlook Chesuncook Lake. They are equipped with a full kitchen (gas stove/oven unit and refrigerator) and bath (shower, sink, flush toilet May-Nov.) and have a propane heater as well as a wood stove. All cooking utensils and dishes are provided. Upstairs there are two bedrooms with an assortment of beds. The downstairs living area also has a queen size futon. We provide linens and towels. During the summer there are canoes, kayaks and motorboats for your use. In the winter you can set your traps and watch them from the cabin. These cabins are non-smoking cabins. A small Wilderness Lodge, built as a farmhouse/boarding house in 1864 at Chesuncook Village, to supply logging operations in Northern Maine's Wilderness, now on the Federal Historical Register. 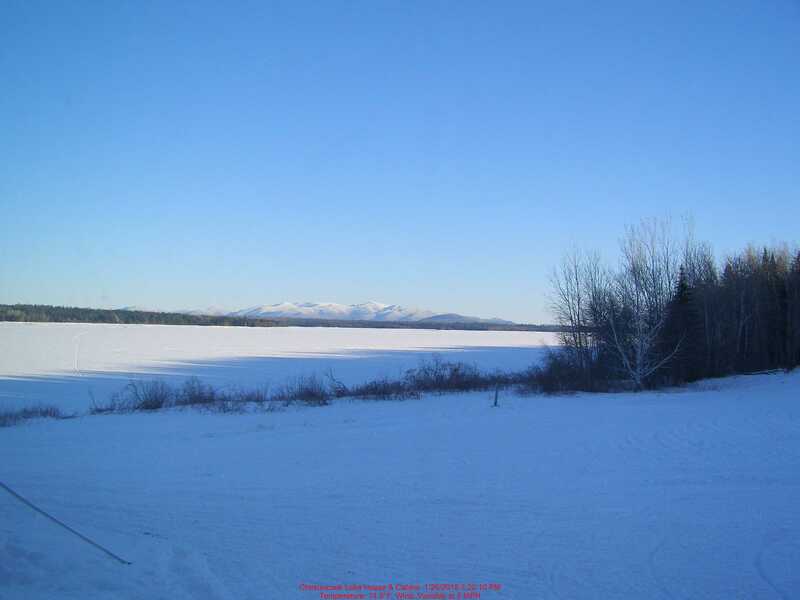 The Lake House is located 50 miles north of the Moosehead Lake Region, and 60 miles west of Millinocket, situated in the center of the last recognized wilderness area in the East. The Lake House has been featured by numerous magazines as a "very unique and special place" (Yankee, Down East, Boston Globe, New York Times, etc.). Yankee Magazine selected the Chesuncook Lake House as the "Editors Pick of Outstanding Places in New England". We strongly recommend that you arrive by float plane, your boat or snowmobile. Overlooking Mt. Katahdin, the Lake House is a warm and welcoming site to our guests and visitors, an oasis in the wild. A new road to Chesuncook!?? Unfortunately the new road is in horrible condition, unkept and dangerous. Many guests have arrived unhappy with the high Northwoods gate fees ($40+ pp), flat tires, getting lost, (don't depend on your Tom-tom) and it's not a pleasant start to your stay here. Please consider getting here in the traditional fashion, don't drive in. Your car and wallet will thank you. Your mechanic will not! The Lake House Cabins. 2 bedrooms each, sleeps 6-8. 1 Bathroom with toilet, sink, and shower. Kitchen & Living room area, wood stove. Screened in front porch. OPEN 7 days a week. We have NON-ETHANOL Gasoline and oil for your sled. Great Trails, Food and Lodging for YOU.